Did you ever feel like an outcast when you were in high school? 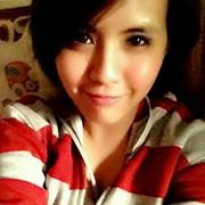 Did you ever get that feeling that no one wants to talk to you because of a rumor? Did you ever have a fight with your friend because of a guy? Did your friends abandon you because of something bad that you did but you were never given the chance to explain why you did it? 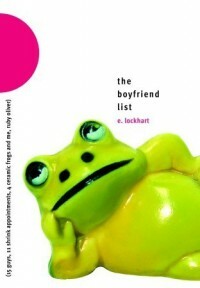 The Boyfriend List: 15 Guys, 11 Shrink Appointments, 4 Ceramic Frogs and Me, Ruby Oliver would have to be one of the funniest and cutest book I’ve ever read. Isn’t it just so long and cute? This book was an immediate love at first read. This would have to be my first E. Lockhart book and I was so impressed with how real and how three dimensional Ruby (or Roo) was. I couldn’t really say the same for the other characters because I felt this story focused more on Ruby and her teenage struggles and less on the other people involved. I mean you get a glimpse of her friends and the boys on her list but you’ll read more of her, her reactions and how she was feeling. Ruby was not a perfect character which was why she was perfect. She made all sorts of wrong decisions that lead to even more trouble but then again who doesn’t make mistakes and we also have to take note that she’s only 15 years old. I liked the fact that this book sounded exactly like a 15 year old venting out her frustrations and thoughts. I would have to say that I have my first boyfriend when I was 13 years old (or 12) I couldn’t really remember. I believe I’ve had the same struggles that she had though not in the extremes kind of way that you become an outcast because of a rumor and stuff like that. What I could relate to was how hard it was to maintain a relationship at a young age. There are people who could do that but in my case I wasn’t able to muddle through with the relationship which ended up in a bad note. I wish though that I met him when I was a little older because I think I would have handled the relationship a little differently. And I think Ruby had the same issue. All in all, I really loved this book. I enjoyed every page, every paragraph, every sentence and every word including the footnotes which I thought was pretty good addition to the already good writing for the author. It dealt with teen angst, love, ostracism and high school reality. If given the chance to choose to have friends like that or no friends at all, I would definitely choose no friends at all. If those are the type of friends I’ll have I prefer not to have any at all.